Hines didn't register a carry or reception in Saturday's 21-7 wild-card win over Houston while playing just nine offensive snaps. The rookie didn't play much because Marlon Mack was playing well, Colts offensive coordinator Nick Sirianni told Stephen Holder of The Athletic. Analysis: Despite the lack of usage this past weekend, Hines has nowhere to go up in terms of workload after he previously recorded no fewer than four touches in any game this season. Still, it's clear Hines hasn't been as much of a factor in recent weeks, as he had just three rushing attempts and seven receptions over the final two games of the regular season. Hines rushed twice for two yards and a touchdown and added 41 yards on four catches during Sunday's 28-27 win over the Giants. Analysis: The Colts were down by 14 points before Hines barreled into the end zone late in the second quarter. The rookie's role has become more defined down the stretch, but it's still one that limits his carries behind Marlon Mack. With the playoffs on the line, he'll take on a tough Titans defense in the regular-season finale. Tennessee limited Hines to 34 yards from scrimmage back in the two sides' Week 11 meeting. Hines carried six times for 19 yards and caught four passes for an additional 45 yards during Sunday's 23-0 win over the Cowboys. Analysis: Hines was the only other back to carry the ball behind Marlon Mack, but he averaged just 3.2 yards per carry. He frequently lined up in the slot and on the outside, finishing second on the team in catches and receiving yardage. Hines is more of a change-of-pace option behind Mack, but his receiving chops give him some fantasy value in the right matchup. That said, he's no guarantee to produce next Sunday against the Giants. Hines had three carries for one yard and three receptions for 16 yards on five targets in Sunday's win at Houston. Analysis: Hines played 28 snaps on offense compared to 40 for Marlon Mack. As the top backup to Mack, Hines remains a steady option in in the passing game as his five targets were fifth on the team despite his modest yardage total. Hines rushed for five yards on four carries and caught all nine of his targets for 50 yards in Sunday's 6-0 loss to the Jaguars. Analysis: The Colts went with a pass-heavy approach with starting running back Marlon Mack (concussion) perhaps operating at less than 100 percent. Hines was the beneficiary of that game plan, finishing with 13 touches to Mack's nine. 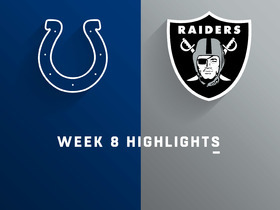 Hines could see increased involvement again if Indianapolis falls behind in Week 14 against a Texans team that comes in riding a nine-game winning streak. However, Mack's likely to be closer to full strength by then and should see a larger share of work out of the backfield. 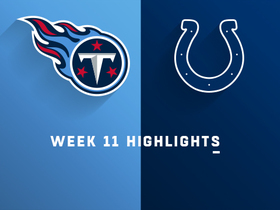 Hines was on the field for 26 of the Colts' 69 offensive snaps in Sunday's 27-24 win over the Dolphins, carrying nine times for 28 yards and catching both of his targets for 22 yards. Analysis: While Hines' Week 12 numbers were nothing special, his fantasy outlook could be brighter ahead of next weekend's tilt with the Jaguars. PerMike Chappell of Fox 59 News Indianapolis, top back Marlon Mack isn't a lock to suit up against Jacksonville after sustaining a concussion Sunday that resulted in his removal from the contest. If Mack fails to pass the five-step protocol before the weekend, Hines and Jordan Wilkins would both presumably be in store for enhanced snap and touch counts. Hines had five carries for 14 yards and one reception for 20 yards on three targets in Sunday's win over Tennessee. Analysis: Hines struggled a bit with a dropped pass and fumble (which the Colts recovered). Hines is still the No. 2 running back as he played 16 snaps on offense compared to 11 snaps for Jordan Wilkins and 38 for starter Marlon Mack. Hines had three carries for three yards and three receptions for 19 yards on four targets in Sunday's win over the Jaguars. Analysis: Hines is Indy's pass-catching back, but he'd been productive on the ground the past two weeks with 125 yards rushing and a 7.8 YPC. However, the Colts struggled with the run Sunday as Marlon Mack averaged just 2.4 yards per carry. Hines played 20 snaps on offense as he's the clear No. 2 running back ahead of Jordan Wilkins, who played just five snaps on offense. Hines had 11 carries for 78 yards and two receptions on two targets for seven yards in Sunday's win at Oakland. Analysis: Hines is Indy's pass-catching back, but he's been productive on the ground the past two weeks with 125 yards rushing and a 7.8 YPC. He's the clear No. 2 RB with 28 snaps on offense compared to three snaps for Jordan Wilkins and 49 snaps for starter Marlon Mack. Hines had five carries for 47 yards and lost five yards on his only reception on two targets in Sunday's win over Buffalo. Analysis: Marlon Mack started at running back and had 126 yards rushing while playing 37 of the offense's 66 snaps. He's the clear No. 1 back with a return to full strength from a hamstring injury. However, Hines looks like the No. 2 RB and still set to get significant time as he played 17 snaps on offense while Jordan Wilkins had 15 snaps. Hines rushed three times for 14 yards and added 21 yards on two catches during Sunday's 42-34 loss to the Jets. Analysis: Marlon Mack returned to the backfield for the first time since Week 2 and, not surprisingly, Hines' five touches ended up being his lowest total since Week 2. Hines has developed into a solid option in the passing game, something Mack hasn't really shown much of thus far in his career. That might keep Hines more active than he otherwise would be now that Mack is back in the fold, but Sunday's quiet outing against New York doesn't offer a ton of promise. A stout Buffalo defense awaits Sunday. 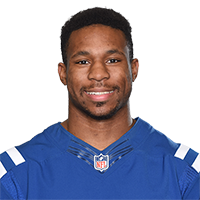 Hines' workload likely will decrease with Marlon Mack (hamstring) expected to start Sunday's road game versus the Jets, Mike Chappell of Fox 59 News Indianapolis reports. Analysis: Hines has been the primary beneficiary of an absent Mack, totaling 62 touches to Jordan Wilkins' 53 on the season. With Mack back in the fold, expect the workloads of both Hines and Wilkins to be scaled back, though Hines' pass-catching ability should keep him more relevant than Wilkins. Hines rushed 15 times for 45 yards and brought in seven of nine targets for 45 yards in the Colts' 38-24 loss to the Patriots on Thursday. Hines should remain a part of the Colts' backfield committee Thursday against the Patriots with teammate Marlon Mack (hamstring) ruled out for the contest. Hines ran for 10 yards on four carries and added nine catches, 63 yards and two touchdowns in the air during Sunday's 37-34 loss to Houston. Hines caught all five of his targets for 25 yards and added 18 yards on five carries during Sunday's 20-16 loss in Philadelphia. 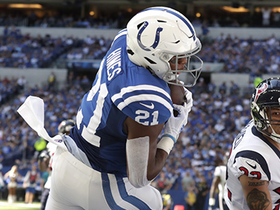 Analysis: Hines, averaging just 3.1 yards per carry this year, did not provide much assistance on the ground in Marlon Mack's (hamstring/foot) absence, but continued to offer Andrew Luck with a security blanket in the passing game. Through three games, the rookie back has as many receptions as starting receiver Ryan Grant. Hines hasn't been able to break a big gain, but he's an interesting back-end PPR option, particularly against a Houston front that might force Luck to dump the ball off quickly. 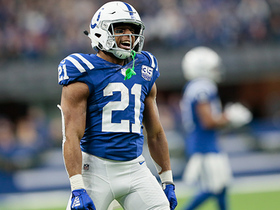 Hines and Jordan Wilkins are both candidates to handle increased roles while Marlon Mack (foot, hamstring) is out for Sunday's game in Philadelphia, NJ.com's Zack Rosenblatt reports. Hines had four carries for seven yards, included an eight-yard touchdown, and lost two yards on his only reception and target in Sunday's win at Washington. Analysis: The Colts split playing time evenly with Marlon Mack returning from a hamstring injury. Mack had 18 snaps on offense with Hines and Jordan Wilkins each playing 24 snaps. Hines would seem like the least likely candidate to get a shorter rushing touchdown as he's seen more as the option in the passing game. However, Hines had just one target after nine targets Week 1. Hines should have a steady role in the offense, but it's possible his playing time decreases when Mack gets back to full speed. Hines had five carries for 19 yards and seven receptions on nine targets for 33 yards in Sunday's loss to Cincinnati. He played 37 snaps on offense compared to 46 snaps for Jordan Wilkins, who got the start at running back. Hines is listed as the No. 3 running back and No. 3 kick returner and isn't listed as a punt returner on the Colts' depth chart ahead of Week 1. Analysis: Hines entered the preseason as the top candidate to win both the punt and kickoff return jobs, but he had issues with ball security on returns in the preseason. Hines could have a sizeable role on offense, however, if Marlon Mack remains out with a hamstring injury. 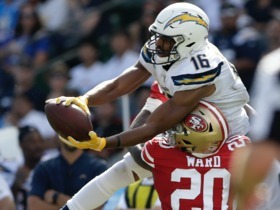 Hines had five carries for zero yards and lost one yard on his only reception in Saturday's preseason win over San Francisco. Analysis: Hines drew a lot of praise in minicamp and in training camp with the coaching staff saying they had plans to use him in the backfield, in the slot and out wide. However, he's had a poor preseason as he has eight carries for 19 yards and one reception for nine yards in three games. Perhaps the Colts were being coy about his usage in the preseason, but Hines seems to have fallen behind fellow rookie Jordan Wilkins, with little reason to expect a significant role early in the season. Hines rushed five times for 12 yards and caught one of his two targets for nine yards in Monday night's 20-19 loss to the Ravens in the second preseason game. Hines had three carries for seven yards and wasn't targeted in the passing game in Thursday's preseason win over Seattle. He mishandled two punts and a kickoff return as the team's return specialist, Mike Wells of ESPN.com reports. Hines was used in the backfield, in the slot, and out wide in minicamp, which likely indicates that he'll be a significant part of offense coordinator Nick Sirianni's no-huddle, up-tempo offense, the Indianapolis Star reports. "He's just hard to understand defensively, in my mind, how you're going to play him," Sirianni said. 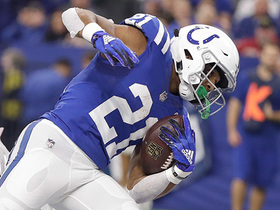 Indianapolis Colts running back Nyheim Hines twists for a perfect back-shoulder reception. 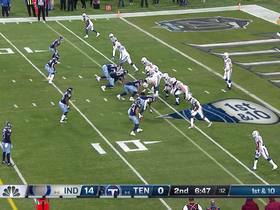 Indianapolis Colts running back Nyheim Hines goes untouched up the middle for a goal-line touchdown. 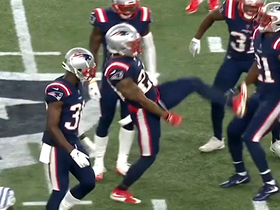 New England Patriots safety Patrick Chung celebrates intercepting Indianapolis Colts quarterback Andrew Luck with a karate kick. The "NFL Fantasy Live" crew discusses which players are riding your bench that could be in your starting lineup.